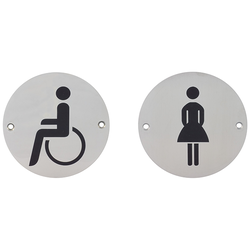 We are a leading Manufacturer of door signage and ss knob from Gurgaon, India. Backed by huge industry knowledge, we are presenting a supreme quality range of Door Signage to our highly valued consumers. These Door Signages are highly admired for their top quality and flawlessness. Available in various specifications, these can be availed in customized forms as per clients needs. Our clients can purchase these Door Signages at most reasonable rate. 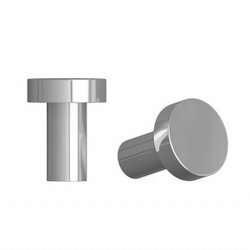 Owing to our rich industrial experience, we have been able to trading and supplying a wide range of SS Knob. The offered range of SS Knobs is procured in different forms to ensure their adherence with the highest quality norms and standards. Customers can easily get them from us in different needs at very marginal prices. Besides, these SS knobs are very popular due to their unique appearance.